The general voting procedure in 28 member states of the European Union is coming to an end. (CSU) in the federal state of Bavaria) reach 35,5% => inofficial final result: 35,3%. The Social-Democrats (i.e. the Gabriel party) reach 27,2% => inofficial final result: 27,3%. The eurocritical AfD has run for the first time in European elections. Some 48% of German voters have participated in the vote. All essential parties are generally in favour of the European Union but demand certain changes on different fields of administration. A deregulation of central law-making in Brussels is requested by many candidates. Such, German regions could enjoy again more liberties in their plannings. Here now a graphic representation of election results in France from May 25/26. Comprehensive data and background information about France and other EU member states are available from the election news service of FranceTVinfo. FranceTVinfo: Les résultats des européennes, pays par pays. The Political Color of France in the European Elections. 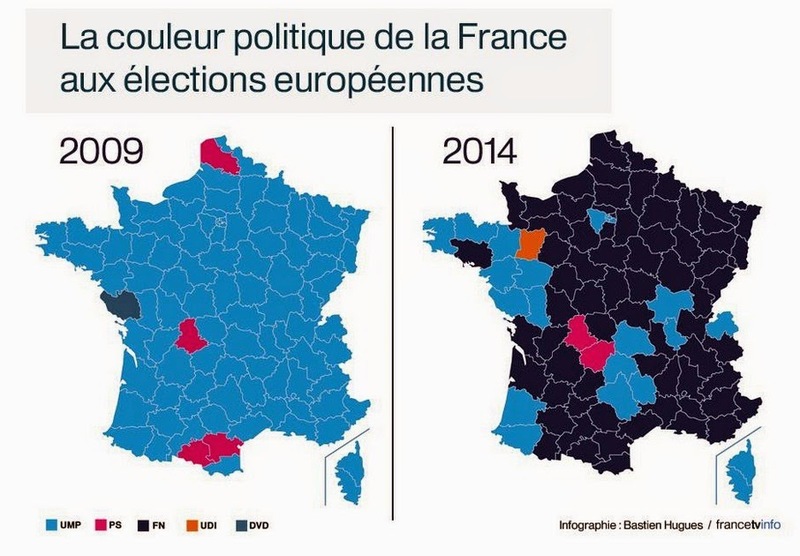 Dark colored regions in the infographics above are showing French "départements" where far-right candidates of the National Front (FN) reached a majority in the European Elections of 2014. These administrative regions have been mostly won over from the Union for a Popular Movement (UMP), a centre-right political party related to the former presidents of France Chirac and Sarkozy. The centre-left Socialist Party (PS), represented by current president Hollande, lost two of four departments compared to the 2009 elections. The National Front has won 26% of all votes and one third of seats reserved for France in the European Parliament. 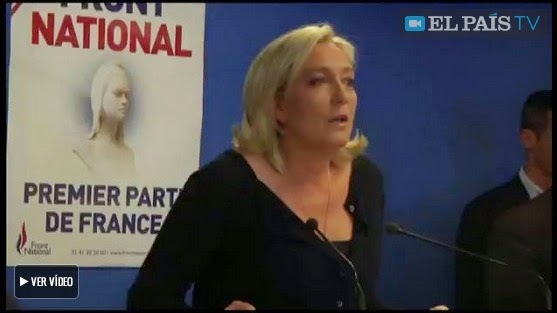 The National Front (FN) can be characterized by economic protectionism, a zero tolerance approach to law and order issues, and anti-immigration. The party's opposition to immigration is focused on non-European immigration, and includes support for deporting illegal, criminal, and unemployed immigrants. Since the 1990s, the party's evaluation of the European Union is increasingly marked by euroscepticism. Marine Le Pen, daughter of FN founder Jean-Marie Le Pen, is now celebrating her party's unprecedented victory. The tendency of mainstream politics in France, however, identified as a general drift towards nationalist and far-right positions, is scaring many observers abroad. "El Frente Nacional se convierte en la primera fuerza política francesa"
"The National Front is turning itself into first political power of France"
A "cautious" visitor to "blueprint news" coming from New York, Lower Manhattan. Visitor coming from the historic center of Berlin, Germany. took place just in front of Centre Pompidou. That deal should be signed these days when Russia's president Putin is going to visit China in order to meet his counterpart Xi JinPing. The following map is showing the infrastructure of Russia's oil and gas delivery to China and gives an idea of its extent. 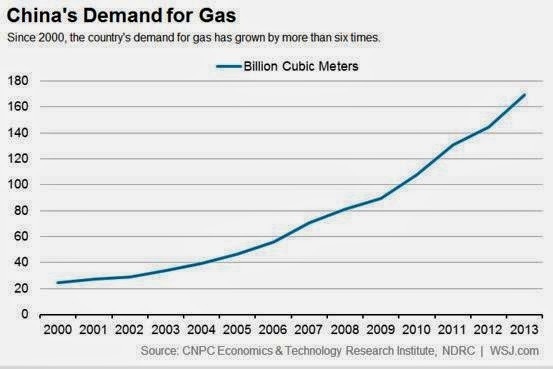 Headline: Why does China probably still continue with natural gas knocked out from Russia ? The outside world generally estimates, Russian president Putin's visit to China this week facilitates a long-drawn-out agreement on natural gas between China and Russia. According to the viewpoints of analysts that are being summed up for Wallstreet Daily, China and Russia are out of nothing getting close to reach an agreement. Such feeling free, both countries still have very much space for differences. [Such] former differences need to be mentioned. Ten years ago, China's oil group [i.e. 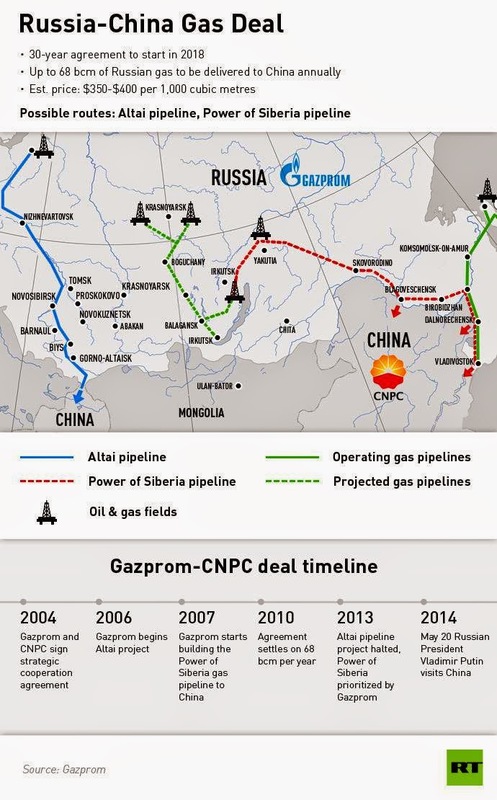 CNPC] and Russia's national company for natural gas GAZPROM began negotiations, hopeful to reach an agreement lasting 30 years and comprising an annual supply of 38 billion cubic metre of natural gas. The question of prices, however, could not be directly approached. At the beginning of this year, China has raised its annual goal of consumption, the estimated annual consumption [now being] 420 billion cubic metre until 2020 [compared to] a scope of 170 billion cubic metre last year. China's estimated demand sharply increased, the negotiations for a Russian supply of natural gas to China should normally lead to more profit for the development of the Russian side. - Actually this is not so. The following part of the article is dealing with actual prices for natural gas and liquid gas [LNG] from different countries [seen as an intrinsic function of quality and availability] in comparison to regional market prices. It can be seen that this is a rather complicated market where an increase in local exportation doesn't necessarily mean a comparable increase in revenues for the providing country. 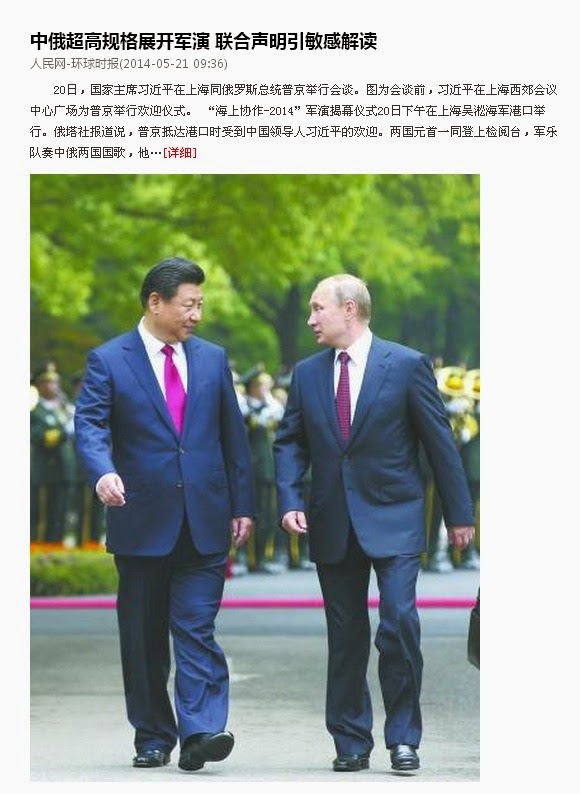 Xi JinPing meeting with Putin in Shanghai on May 20, 2014. 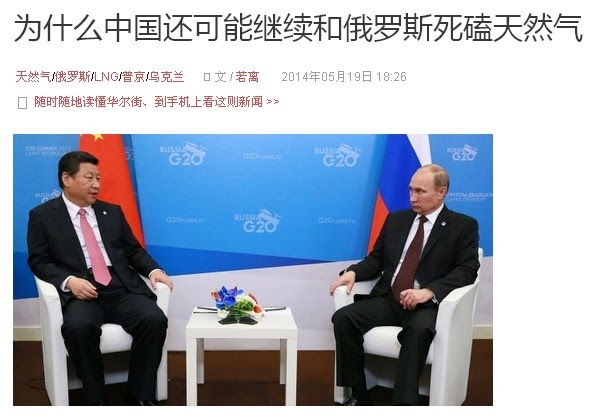 On May 21, during the visit of Russia's president to China, China News 中新网 reported the completion of a " partnership relation for the overall cooperation in the field of energy resources 全面能源合作伙伴关系" between both countries by using the expression " the ice is broken 破冰". This, however, might imply that it took almost to the last moment of a bilateral summit to reach an agreement. This visitor's call from Northern Ireland could serve as a reminder of the bloody war between the outlawed Irish Republican Army IRA, pro-British militias and British authorities in the frame of a conflict bearing some pseudo-religious dimension as folllowers of both sides were either Roman-Catholics or Protestants belonging to the British Anglican Church that had separated from Rome already centuries ago. The main conflict, however, was primarily a political one about the constitutional status of Northern Ireland and the relationship between its two main communities. Unionists and loyalists, who mostly come from the Protestant community, generally want Northern Ireland to remain within the United Kingdom. Irish nationalists and republicans, who mostly come from the Catholic community, generally want it to leave the United Kingdom and join a united Ireland. Gerry Adams, representative of "Sinn Féin", the legal branch of the IRA and a legitimate political party, had always been suspected of having been involved in IRA cruelties during his early years as a follower of that separatist organization. However, nothing could be proven. Now in May 2014, a renewed charge related to the murder of a widow and mother of ten children in 1972 is expected to end like many earlier charges without legal consequences. I still remember TV reports from the 1970ies about daily killings in Belfast and Londonderry and IRA proceedings abroad when their representatives raised money from U.S. citizens of Irish extraction to buy weapons for their combat at home. If "terrorism" had been invented at that time, it would have been the IRA to claim the copyright for it. Some airliner is on its way to Northern Ireland. Finally the captain addresses his passengers with the following words: "We are now approaching Belfast airport. Please, fasten your seatbelts and turn your watches 300 years back." Vietnam probably starts further anti-Chinese demonstrations today. Vietnam's prime minister pleaded the masses in three joint words not to participate. 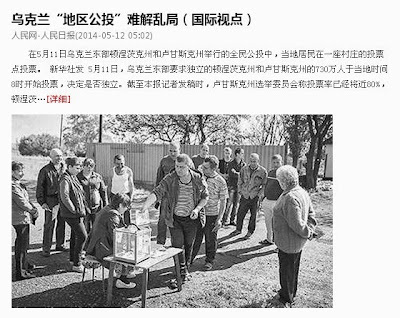 “非法的示威游行” "An Unlawful Demonstration of Strength"
Vietnam demonstrating [its strength] in 18 provincial towns. The embassy of Communist China declares state of siege. 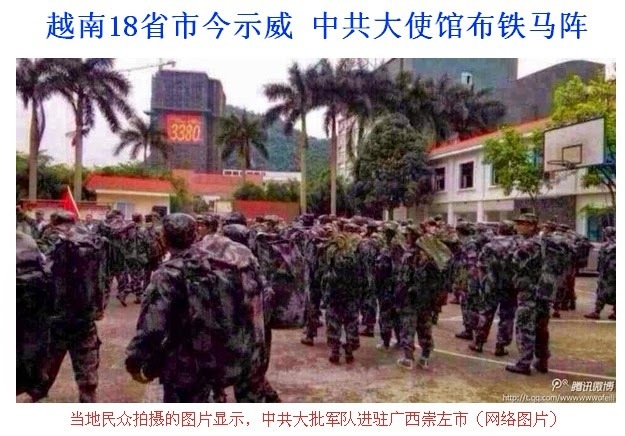 Chinese troop contingents are gathering in Chongzuo district in the frontier area of China's Guangxi province (photo above / map below). China's government provides help in the repatriation of [Chinese subjects] from Vietnam: More than 3000 persons have already returned home. After violent incidents directed against Chinese enterprises and single persons in Vietnam, 3000 Chinese have already been repatriated with the help of China's embassy in Hanoi by Saturday afternoon (May 17). China's government had organized transportation means like chartered planes and ships. Headline: Russia probably stops supplying the U.S.
with missile engines as an answer to U.S. sanctions. 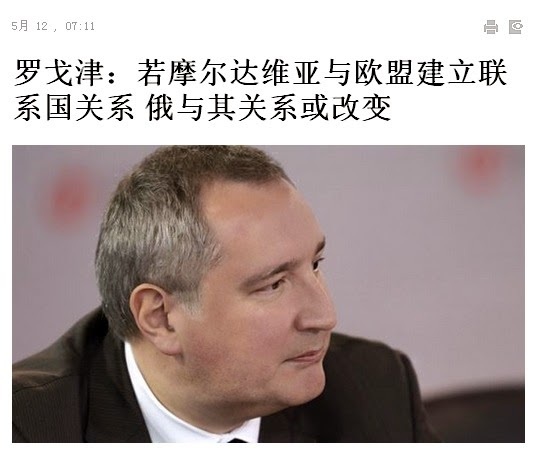 According to a Russian news agency report on May 13, Russia's deputy prime minister Rogozin made clear the same day that Russia suspends further supply of RD-180 and K-33 missile engines to the U.S. as an answer to U.S. sanctions. The RD-180 (РД-180, Ракетный Двигатель-180, Rocket Engine-180) is a Russian-designed-and-built rocket engine. It features a dual-combustion chamber, dual-nozzle design and is fueled by a kerosene/liquid oxygene mixture. Currently RD-180 engines are used for the first-stage of the U.S. Atlas V launch vehicle and which is expended at each launch. 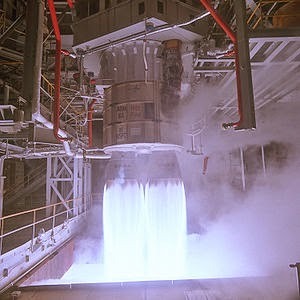 Therefore, a steady supply of RD-180 engines is needed. Doubts about the reliability of the supply chain for the RD-180 arose following the Ukraine crisis in March 2014. For over 13 years since the engine was first used in the Lockheed Martin Atlas III launch vehicle in 2000, there was never any serious jeopardy to the engine supply, despite an uneven record of U.S.-Russian relations since the Cold War. Deputy prime minister Dmitry Rogozin now said "Russia will ban the United States from using Russian-made rocket engines for military launches" thus targeting the frequent military payloads of the ULA Atlas V launch vehicle which powers its first stage with two RD-180 engines. Originally intended was a co-production of the RD-180 engine by Pratt&Whitney, however up to now all engines have been produced in Russia. Rogozin: If Moldavia and the EU establish relations of national significance, the relationship between Russia and them will probably change. War is a question of vital importance to the state, a matter of life and death, the road to survival or ruin. Hence, it is a subject which calls for careful study. "Do you support the act of independence for the People's Republic of Donezk?" 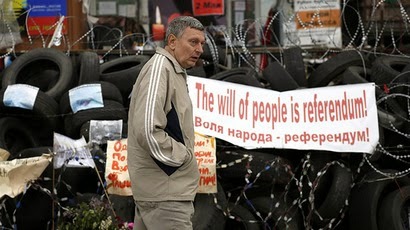 Moscow says it's not in a rush to respond to the Donetsk People's Republic’s plea of accession. All data quoted from the Russian source RT are consistent with those from other foreign media and from previous evaluations. 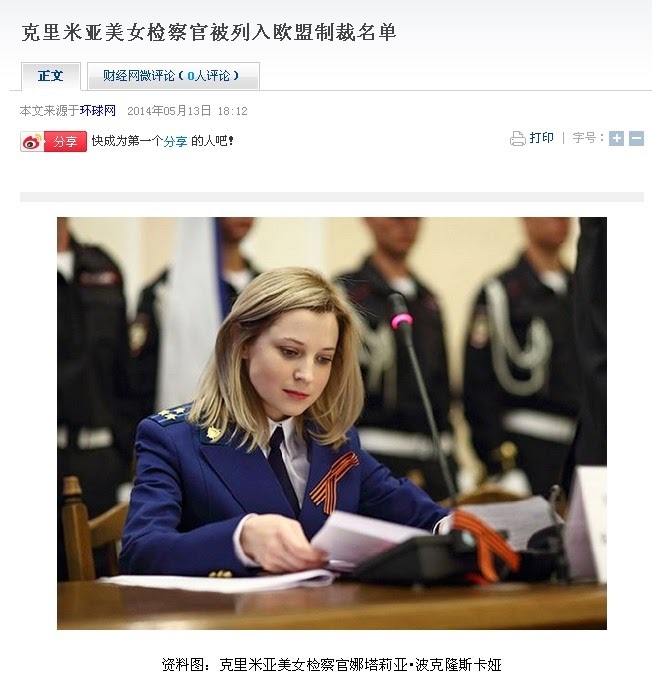 The public prosecutor of Crimea, a beautiful woman, has been added to a name list of those to be sanctioned by the European Alliance. First voters in the Donezk region. The Referendum for a Separation of Eastern Ukraine has Begun. On Sunday morning, pro-Russian separatists have begun a vote in the Donbass region and which is comprising [...] Donezk and Lugansk in Eastern Ukraine in a referendum on the separation from Ukraine. Washington meanwhile announced its rejection of the voting results and threatened, [in correspondence with] its allies, to extend the scope of sanctions against Russia in case further steps would be taken [towards a declaration that should establish] the separation of eastern regions from Ukraine. In the Donezk and Lugansk area 7,3 million voters were to cast their ballots within eight hours. According to latest information from the election committee and that reached People's Daily on May 11, about 70% of entitled voters in Donezk and 80% in Lugansk participated in the referendum. After the counting of votes, first results will be published on May 12. Some residents of [Mariúpol in Donezk region] voted for independence Sunday in expectation of soon having their region annexed by Russia. Others cast "yes" votes as what they considered a first step toward demanding more regional autonomy while remaining part of Ukraine. Still others, frustrated by rising prices and a withered national currency, voted in favor of the vaguely worded referendum out of conviction that they can depend on neither Kiev nor Moscow to resolve their political and security problems. Only those supportive — or at least tolerant — of the interim national leadership in Kiev opposed the referendum, and rather than vote "no," many simply stayed away from the polls. "We want to decide our own affairs. can count on Russia's help." UPDATE added below on "Germany's Role as a Peacemaker"
Only hours before pro-Russian insurgents will start their referendum for independence from Ukraine, Russia celebrates its victory over Nazi Germany in Moscow and Crimea with its president Putin appearing in both places. As to the referendum he publicly suggested its postponement, thus leaving it to the pro-Russian forces in Slavyansk and Donezk to establish a separate state without giving any evidence that Moscow might be involved in the local uprise. Ukrainian [mercenaries] have arranged a shooting in the center of Mariúpol. "Обстановка в окрестностях Славянска" - "Conditions in the vicinity of Slavyansk." A Russian language video showing the proceedings at a Ukrainian checkpoint out of Slavyansk. Germany as a Peacemaker ? Slovyansk woman killed by sniper-fire on her balcony. en Kiev para que cese uso de fuerza. their influence on Kiev for an ending of the violence. Heavy fighting has been reported from the center of Mariúpol seaport. Concentration of Ukrainian troops and clashes with pro-Russian militias are taking place in Kramatorsk, Konstantínovka and the Donetsk region. Local militias in Kramatorsk reported six dead and five wounded activists while Konstantínovka experienced an increase of Ukrainian troops and armoured vehicles. Subtitle: "Ukrainian army offensive leaves 6 dead and several wounded." After the fire disaster in Odessa on May 2 and which had been allegedly caused by right-wing extremists, a death toll of 40 was counted. 30 casualties are directly related to the fire. Local authorities ordered a three days period of mourning. Subtitle: "Politicians are using the tragedy for their electoral campaign." I almost forgot to remind the 70th birthday of "my favorite dislike" among Germany's politicians: Ex-Federal Chancellor Gerhard Schröder (* 7.4.1944 - ?). When he left the political stage, he had replaced the traditional system of social support for the unemployed by another system that was described as "poverty by law" by one of his more prominent critics and which did not help much to restore decently paid jobs, but, on the contrary, "froze" much individual activity and creativity on the side of the unemployed. For that, he was much applauded by a certain kind of German employers and by Germany's foreign competitors on the global market. However, it was not that kind of social-democratic policy he was expected to practice when being elected by his followers, even though some kind of social reform seemed to be necessary. No wonder that more and more voices from among the ordinary people could be heard calling him a "liar". This was enhanced by a default of additional measures to be taken in order to stabilize the economy. I remember the advertisement of some economic circle showing him on a photo while smoking a big cigar. The photo's subtitle read: "Nothing but smoke rises from the chancellor". In the original text, they were using the German expression of "blauer Dunst" instead of "smoke" which is a synonym for "nothing worth to spend a dime for". 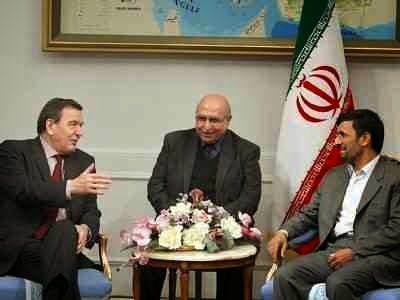 "Count Baltar" receives congratulations from the "Imperious Leader"
What makes the ex-chancellor even more questionable is his personal friendship with Russia's president Putin which seems to be even deeper rooted than his relations to old "comrades" within his own political party. Furthermore, he and his young wife decided to adopt two Russian children and live temporarily in Russia where Schröder became the director of a company subordinate to Putin's state-run enterprise GAZPROM. Some years later, Schröder was caught again in public spotlight when his oil and gas company was mentioned in the frame of huge environmental damages it should have caused in Northern Siberia. However, this is a remote area where nobody is too seriously looking. Therefore, the incident fell into oblivion. As to his friendship with Vladimir Putin, an ex-KGB agent and liaison officer to the East-German state security (Stasi), I still have my second thoughts. For the time Putin was performing in East Berlin, there are hints that he sometimes appeared in the Western part of the city. Being known for his unusual ability to recruit East German citizens for the KGB, he might have made contacts in Westberlin as well. Let me just mention a strange encounter I had in the old diplomatic quarters of the town that could have fit some of those Hollywood productions at the time. In a small street where some foreign consulates from neutral states were located and where there was usually no traffic at all, I noticed a car, registered in Westberlin, and which passed that street more than once. When it passed for the second or third time, some diplomatic car with an East Berlin registration number appeared and both cars stopped in the middle of the street. Some papers were handed over from the German to the diplomatic driver, and for a moment I could look at the "diplomat". He was a young man with thin blond hair and with a round head, very much looking like many Russians. However, I would not dare to draw any conclusions on his identity. Only to mention that this meeting had been observed by somebody else: A young lady was waiting at a temporary bus-stop. When I passed by, she grinned and greeted me, probably holding me for some colleague from another company. I should have added, there was no bus running at all in that street. The temporary bus-stop had appeared some days before and disappeared again some days later. That private story only to lead back to ex-chancellor Schröder who once received president Putin in the same town, however long after the German reunification. At the time of Putin's official visit, I asked myself who would show the sights to whom. I am still convinced that Schröder, who originally came from Hannover, did not know much about Berlin, while Putin might have been the right candidate to show the chancellor his own capital. to which he was entitled as a former chancellor of the Federal Republic. - Lenin orders to take the trails from behind and add them in front, such that the journey might continue. - Stalin orders to shoot the engineer. - Honegger retires to his compartment, draws the curtains in front of the window and declares: "We are travelling at full speed." - Putin promotes Schröder as a director of the line. - Schröder, finally, starts his program "Rent an Unemployed for 1 € an Hour" and orders the long-term unemployed from Germany to Siberia for railway reconstruction work. Short remark for my visitors from abroad: Honegger was the guy who lead the rotten German Democratic Republic (GDR) into its total decay in 1989.